For the second year in a row, Canna Organix was voted Best Outdoor/Greenhouse Grow in Washington state. We were recognized at the annual award ceremony in Seattle. 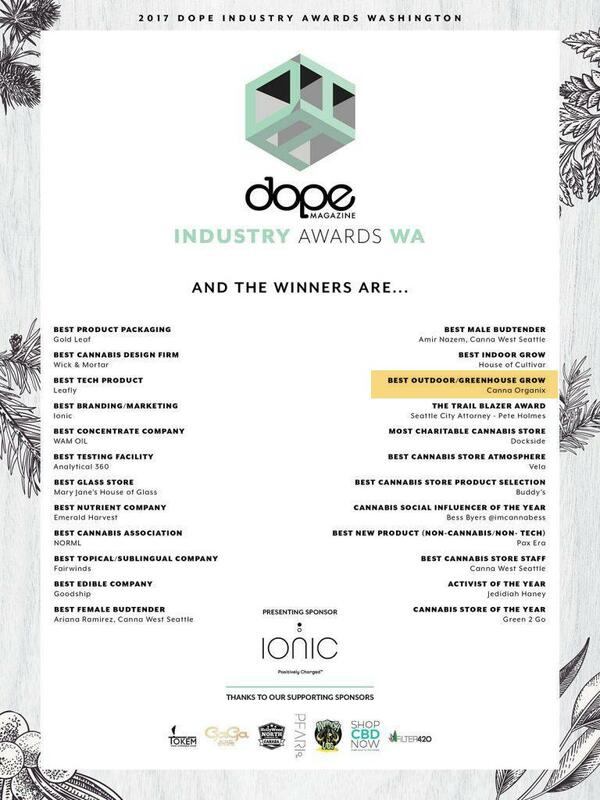 The biggest night in the Washington Cannabis Industry was once again celebrated as the DOPE Industry Awards (DIA’s) went down for the fifth consecutive year. 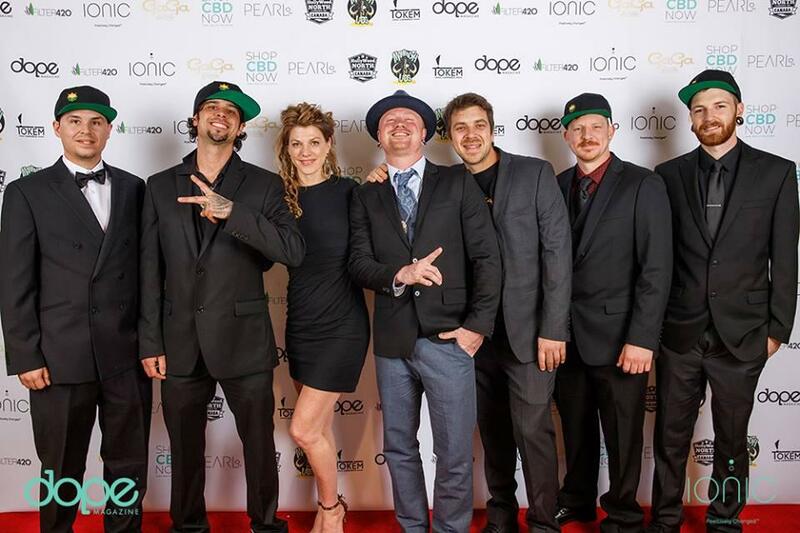 "The December tradition was held at a brand new venue; the Seattle Design Center, that wowed guests with its dramatic backdrop setting the stage for the Oscars of the Cannabis Industry. A 100-foot red carpet, greeted guests as they arrived. Once seated nominees were treated to goodie bags stuffed with great gifts from sponsors and DOPE Magazine. The show kicked off with a rousing monologue from the evening’s MC Mikey McClarron from Craving Amazing and vibes were in full swing with live music from the band Roman and the Whereabouts. As a lifestyle publication, DOPE Magazine is dedicated to creating purposeful, relevant conversations. Since 2011, the magazine has positioned itself in the cannabis arena as a team of professionals determined to normalize the plant.